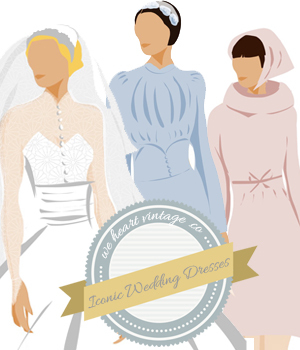 It’s wedding season, so it got me thinking about how lovely vintage bridal styles are. When I got married nearly 11 years ago, I wore a 30s-inspired wedding dress – which I still love, but I love fifties style bridal gowns too. This vintage 50s dress in particular is so pretty! Original photo source and copyright: his work is in the public domain in that it was published in the United States between 1923 and 1977 and without a copyright notice.